New products at Gunfire by Nuprol, Valken, Specna Arms CORE™ and more! Since makin the AK from Radom model, the PA-KO company has taken a decisive direction in the production of small arms. After AR from Radom they made the AR 9mm. 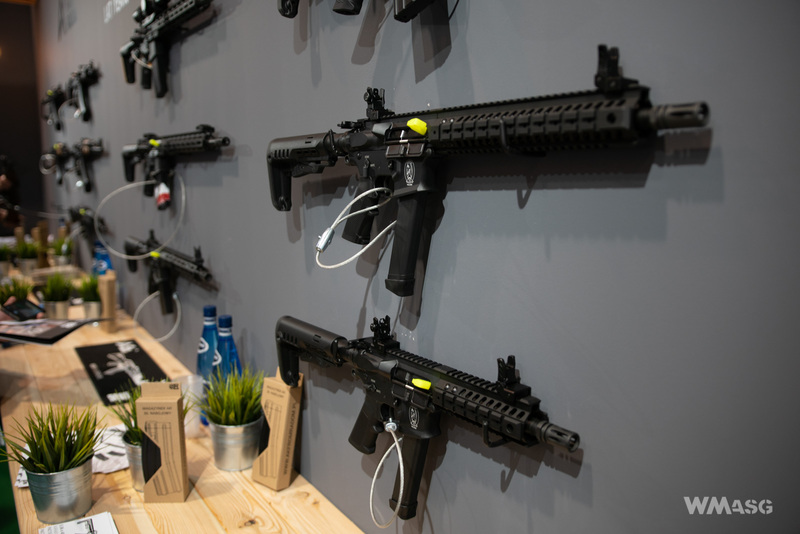 It is a response to the growing demand of the shooters market and the popularity of the PCC category (Pistol Caliber Carbine). Operation remains the same but the caliber changes and the ammunition is cheaper. The new AR will be available in 12.5 and 7.5 inch lengths. It is feed with Glock magazines. It will be available at end of the third/beginning of the fourth quarter of this year. 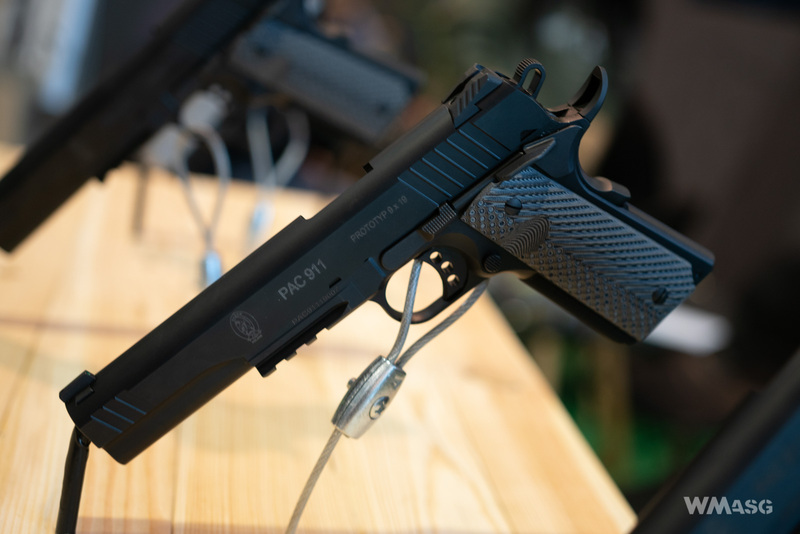 The company's offer will also include the PAC 1911 model, based on the legendary Colt design. The pistol will be available in two lengths: 5 and 6 inches. The overall design is classic. Price will be between 3,500 - 4,000 PLN. 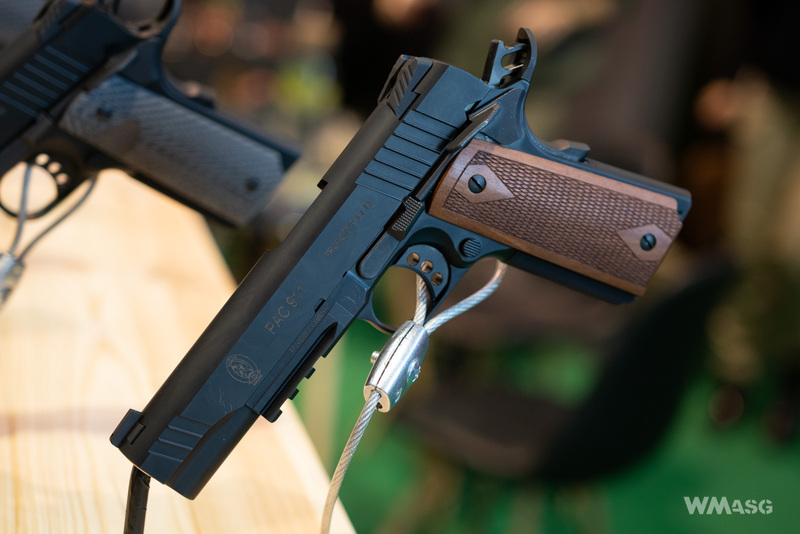 At the PA-KO stand, a new hammerless pistol model called PAC 9 was also presented. 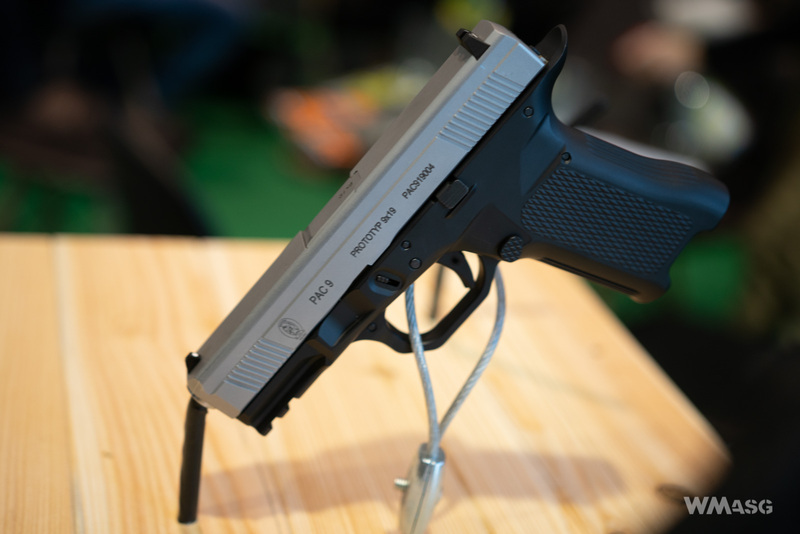 The design is based on the Glock, however, its frame made of aluminum. As we learned, the gun will receive an interesting design of the slide, the trigger will also be "cool".